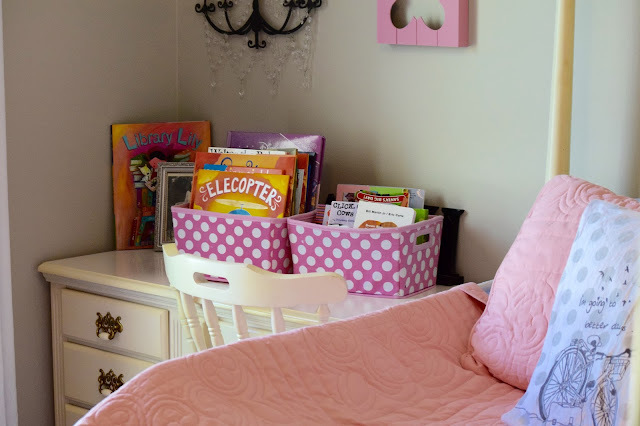 With Lily's new baby brother coming, we knew a few months ago we wanted to transition her from her small toddler bed to a big kid room just across the hall. For us, we had boughten a crib that would transition from just that, to a small toddler day bed and then eventually a full. Because we needed the crib for her sibling, we began to talk about moving Lily into a big girl room right across the hall. It's actually all my own youth furniture from when I was younger so we knew it'd be put to good use when we had Lily. Not sure if your toddler is ready to make the big move yet? 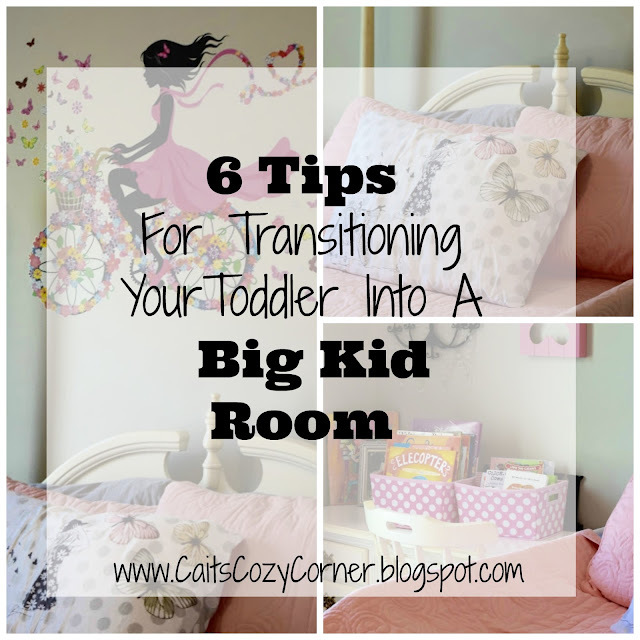 Here are 8 helpful tips to transition your toddler! 1. Start Talking - A few months ago we started talking to Lily about not only her sibling coming but her becoming a big sister and with her new role, sharing about having a big sister room. The more we talked about her moving into a big girl room, the more excited she got for the big move to happen. 2. 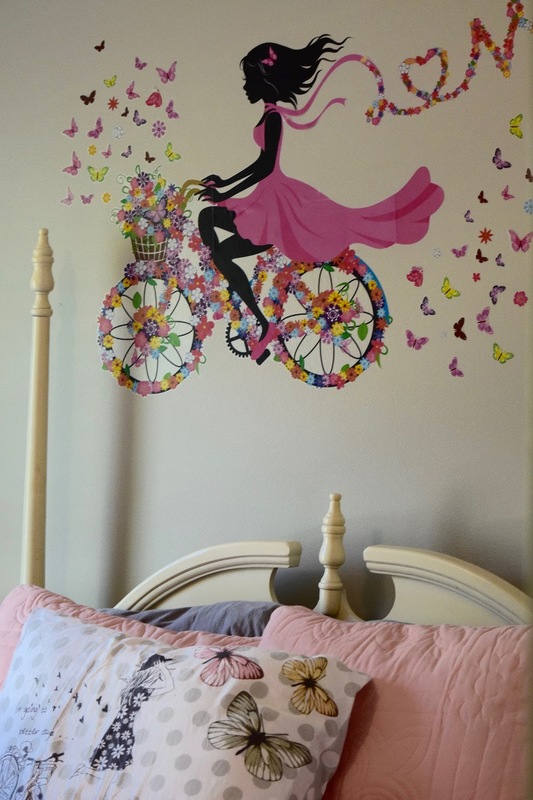 Transition Early - Because we had an idea of when our son would be born, we knew the first of the year would be a good time to transition Lily to her big girl room. It gave us around 4 months for her to be comfortable, realize that her room isn't her's anymore ( she points to it now and say's baby brother :) ) and enjoy her new big girl furniture. 3. Let Your Toddler Help - We began talking not only about moving Lily to her room but trying to think of fun ideas that she'd love. 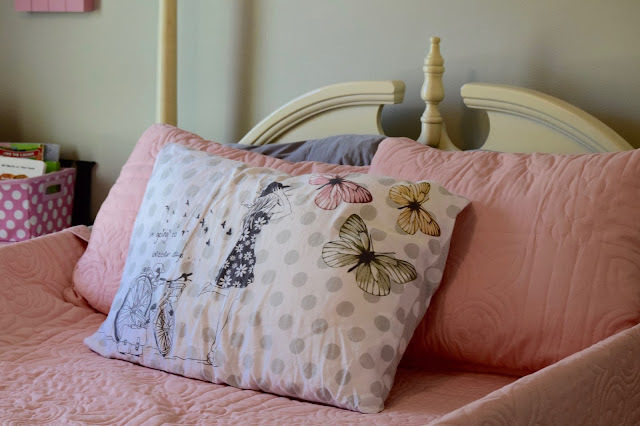 Personally, I wanted a room that she could grow into and knew that she adored butterflies, the color pink and books. 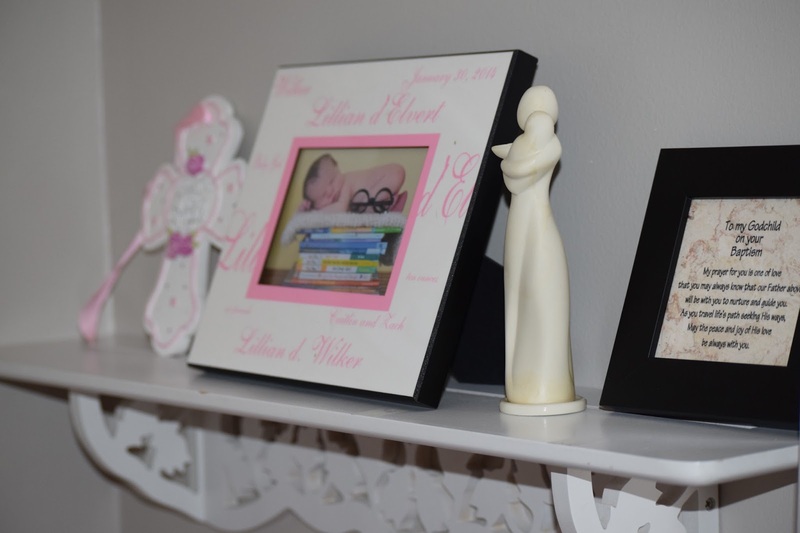 I began picking out items over the months to add to her room and everything came together when we showed her the final reveal. 4. 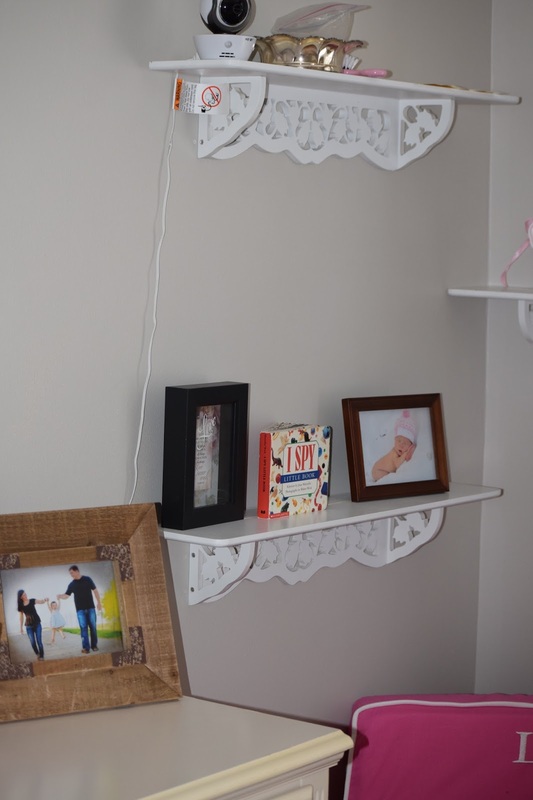 Child Proof - Lily's always been one to usually stay in her room but we wanted to make sure that everything was accessible at her small height. We put railings on her bed so she would get used to moving around ad big girl bed without the fear of falling off. We have a gate on her door so she can't escape ( it has me sleep at night ), we set a camera up on her room so we know if she's napping or if she's jumping on the bed and we made sure all her book shelves were accessible for her to reach without needing to climb anything. 5. 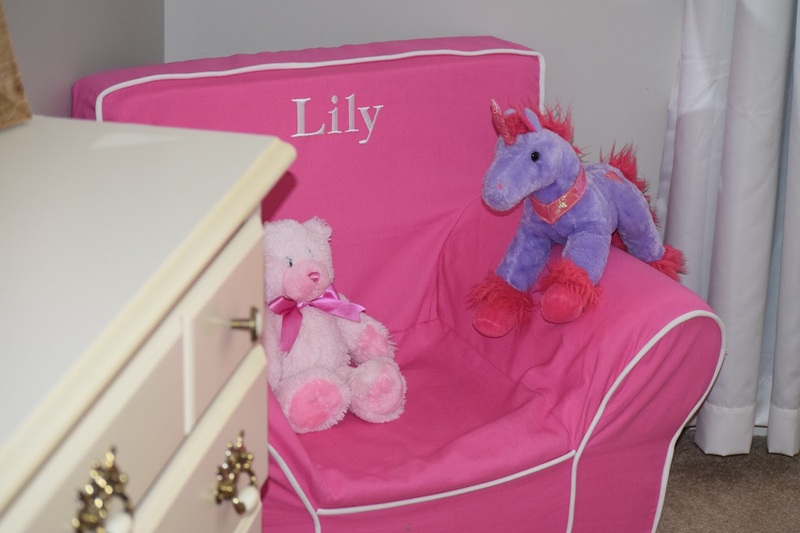 Start Small - When Lily's room was all set up, we started her off with napping in the room to get used to the bed and her new room. Of course it took a few times for her to understand why she wasn't going to her other bed but eventually she began falling asleep and loving going into her room. Just keep saying " Close your eyes and stay in bed ". 6. Patience - I know that big changes in our little ones can be unpredictable. Take a deep breath, and make sure that your child is ready. For us with Lily being three, we knew she was ready to have her own big girl room and of course needing to use her room as a nursery again. She was excited and ready for the change but I can understand if your child is a bit smaller, teething or maybe it's just not the right time in life with holidays or big changes occurring. Everyone should be on the same page. 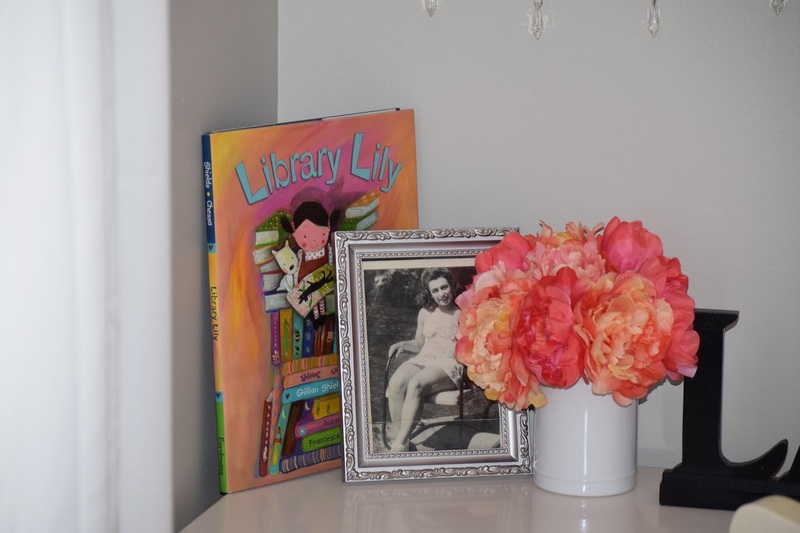 How have you helped your child transition to a big kid room? Oh my gosh I love this! I especially love the mural on the wall! 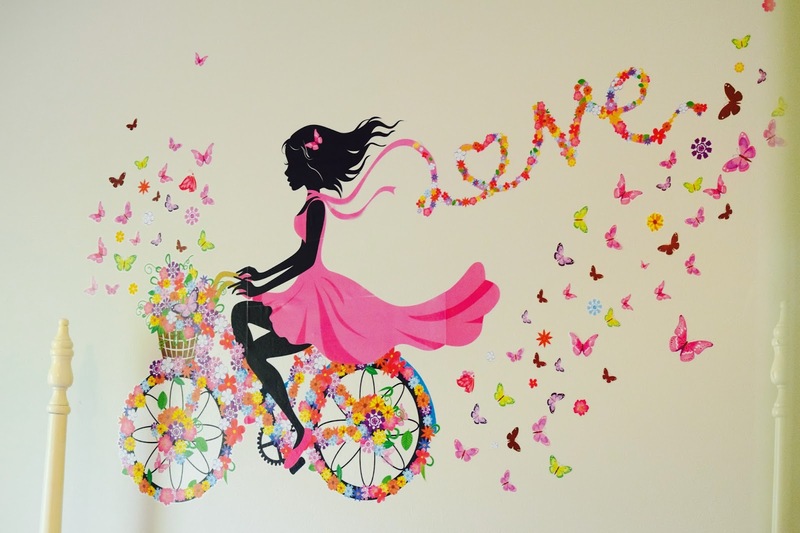 I love that wall decal! We will be moving this summer & I'll be transitioning both toddlers in a room together! That will be a challenge & fun!